Tree Pruning Essentials | Gold Eagle Co.
An easy way to save money this season is to tackle some of your own yard maintenance projects. Trees and shrubs in particular can incur some pretty hefty costs. If hiring a certified arborist or landscaping contractor is out of the question for you and your family, there are a few projects that you can tackle yourself with the proper tools, particularly if most of your property’s trees can be pruned from the ground or a small ladder. But first, you need the right tools. Here are a few simple tools you’ll need in order to get to work on some of your own pruning projects. It’s hard to go wrong with any tool made in Switzerland. Take the Felco F-2 for example. This is the Cadillac model of hand pruners that’s preferred by most profession arborists, and for good reason. The Felco F-2 Classic Manual Hand Pruner is durable and features replaceable cutting blades that give these pruners some incredible longevity. Plus, the Felco F-2 Classic Manual Hand Pruner features a cutting head lock that keeps the tool securely closed when they’re holstered in your pocket or side sheath. If you’re looking for a set of hand pruners that are comparable in design and function to the Felco F-2 model, but at a lower price, look no further than the Gonicc 8” Titanium Pruning Shears. Featuring grippy and ergonomic handles, drop forged titanium blades and a clever “sap groove” that keeps the blades from sticking, the Gonicc 8” Titanium Pruning Shears are a cheaper alternative to more expensive hand pruners and function almost as well. These are certainly entry-level hand pruners, but despite their relatively cheap price point, the Fiskars Stainless Steel Pruners still perform well. The entire tool is pared down to the necessities, and features a durable fixed steel cutting head. Unless you only have very small trees or shrubs, you’ll likely need a pole pruner to complete the majority of your pruning work. 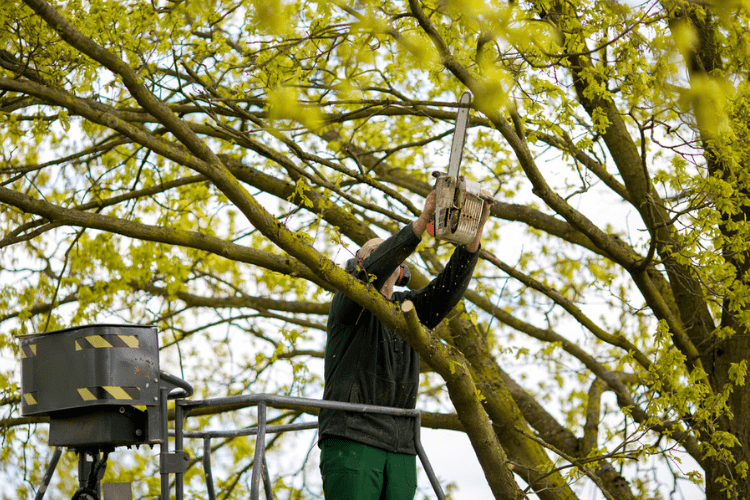 Pole pruners combine all the functionality of hand pruners with the added reach of a pole attachment, allowing you to work the upper reaches of a tree’s canopy without climbing up an uneven ladder. If you watch tree service companies closely, you’ll notice that many of them outfit their crews with a set of both both saws and pole pruners. However, for most homeowners, this is overkill. The Corona Compound Action Pole Pruner features both a saw blade and a pole pruner head, making this tool on of the most versatile and efficient products available to amateur arborists. One knock against most professional model pole pruners is their use of a cord to actuate the pruning motion. Often times, this cord can get cut, damaged or tangled in the storage process. Instead, the Fiskars Pruning Stik Extendable Tee Pruner features a chain-drive action that’s stored inside of the tool’s pole to eliminate cord tangling. The Fiskars Pruning Stik also extends from 7.5” to 12” with a simple flick lock motion. This is the pole saw of choice for the motor heads out there. If your tree care regimen involves less fine pruning and more heavy-duty removal, a gas powered pole saw like the Stihl HT 56 C-E is the tool for you. The Stihl HT 56 C-E is the offspring of a chainsaw and a manual pole pruner, and features a 27 cc engine. 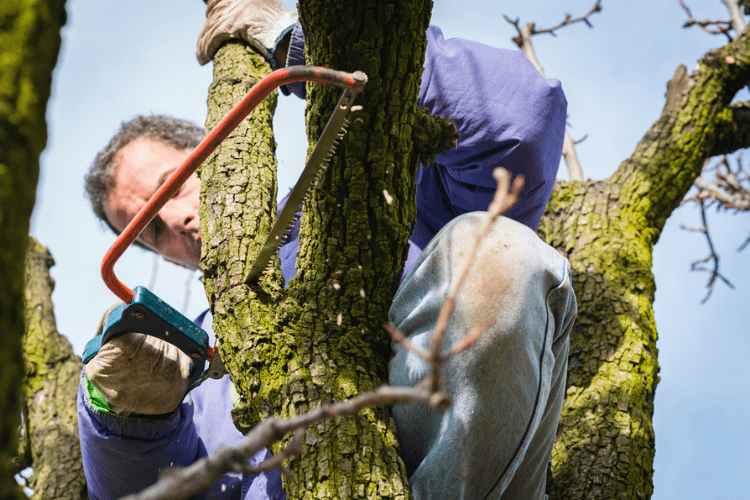 Whether it’s holstered in a leg sheath, our hanging off of your utility belt, a sharp hand saw is imperative to taking care of simple tree pruning tasks, particularly removing dead branches. Featuring a curved blade and fine, razor sharp teeth, the Silky Zubat offers 13” of cutting blade, making quick work of snap-cuts and branch removals. Old timers often report feeling like there must be a tiny motor hidden somewhere in this saw because of it’s lightning efficiency. The Samurai Ichiban is a great hand saw at a slightly cheaper price point than the more expensive Silky models. Despite it’s cheaper price, the Samurai handsaw still performs exceptionally well, and comes with a durable sheath.